Figure. Western Blot; Sample: Recombinant PARP, Human. RPA279Hu01 Recombinant Poly ADP Ribose Polymerase (PARP) Positive Control; Immunogen; SDS-PAGE; WB. 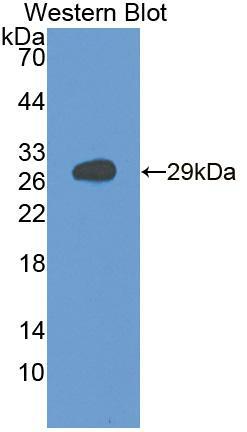 PAA279Hu01 Polyclonal Antibody to Poly ADP Ribose Polymerase (PARP) WB; IHC; ICC; IP. 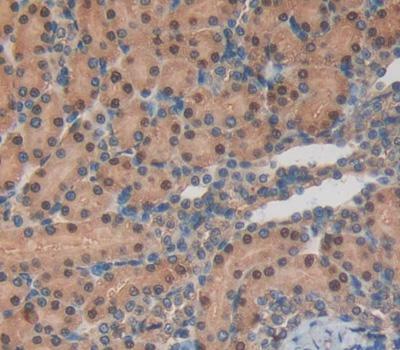 MAA279Hu21 Monoclonal Antibody to Poly ADP Ribose Polymerase (PARP) WB; IHC; ICC; IP. SEA279Hu ELISA Kit for Poly ADP Ribose Polymerase (PARP) Enzyme-linked immunosorbent assay for Antigen Detection. SCA279Hu CLIA Kit for Poly ADP Ribose Polymerase (PARP) Chemiluminescent immunoassay for Antigen Detection.